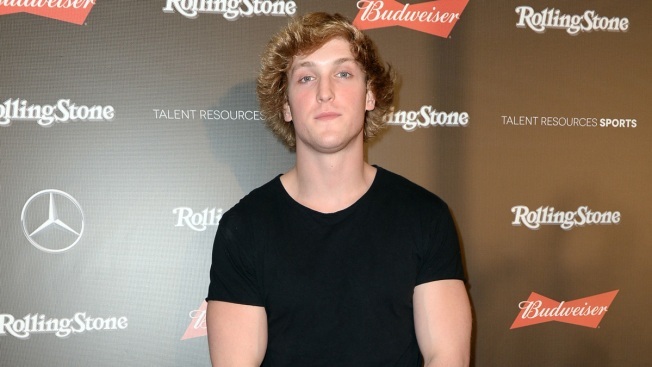 Logan Paul is back in the headlines a year after the controversial YouTube star came under fire for posting footage of what appeared to be a dead body after an apparent suicide in Japan's Aokigahara forest. This time, Paul sparked backlash after revealing a bizarre resolution for March. As he shared on his Impaulsive podcast on Wednesday, he and co-host Mike Majlak are currently vegan and sober. "January is sober vegan January and then February...."
Logan Paul Gives First Interview Since Suicide Forest Video Backlash: "I Am a Good Guy Who Made a Bad Decision"
The comment did not go unnoticed by the internet as critics tweeted in protest. "Looks like #LoganPaul is going gay for a month. Because a person can just flip a switch and be gay/straight whenever they want," YouTube blogger Donny Winter tweeted. "You'd think you'd learn from your past antics, Logan." "Logan Paul 'going gay' is disrespectful to the LGBTQ community it makes it look like being a gay is a choice which homophobic a--holes use as a attack on the gay community can we leave this a--hole in 2018 thank u, next," another person commented on the social media forum. "The fact that this man believes you can "go gay" and just turn it off for a month is troubling...disrespectful, and downright disgusting" another tweet read. "Logan, what you need to do is just stop." "Let's start with this--I'm sorry," Paul began in a lengthy statement to his millions of Twitter followers. "This is a first for me. I've never faced criticism like this before, because I've never made a mistake like this before. I'm surrounded by good people and believe I make good decisions, but I'm still a human being. I can be wrong." "Good luck trying to cancel me," he previously told The Hollywood Reporter, in response to a New York Times article that included him on a list of people who had been "canceled" by the internet. "It's so easy for anyone to be like, 'Logan Paul just ended his career. He's done.' But the only person who will ever decide whether that's true is me. Like, if I sleep for the rest of my life, maybe. But, like, dog: I love this s--t. This creating? It's my passion."